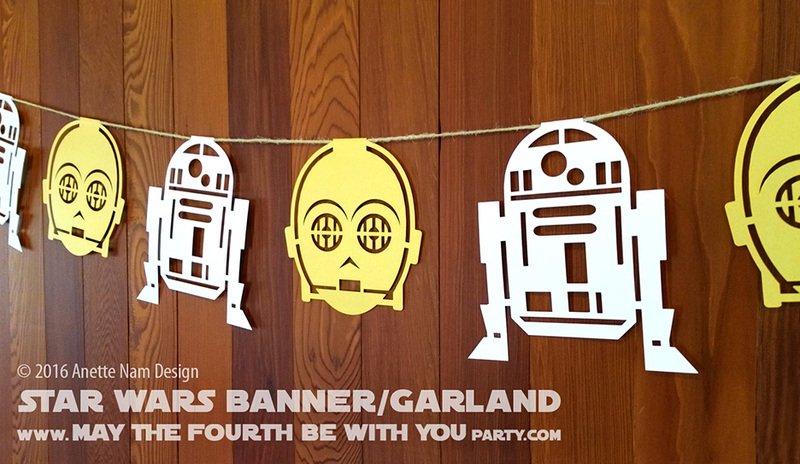 Just over 3 months left to get our May the Fourth be with You Party crafts done. Time to get started! Good thing I have my new best friend: my Silhouette Cameo 2 Die-cutting Machine . I sound like an infomercial, I do, but I have to say I am in awe of its almost unlimited possibilities… If only my available time was unlimited as well. My mother says she hates Star Wars (or “Star Tracks” as she calls it). Hate is a strong word, but she just does not understand why anyone could possibly be interested in it. She does however love interior design and decorating, and she is amazingly good at it – in addition to being very creative. And being my mom, she wants to support all my endeavours! So she has been calling me with ideas of things to feature on the M4P blog. 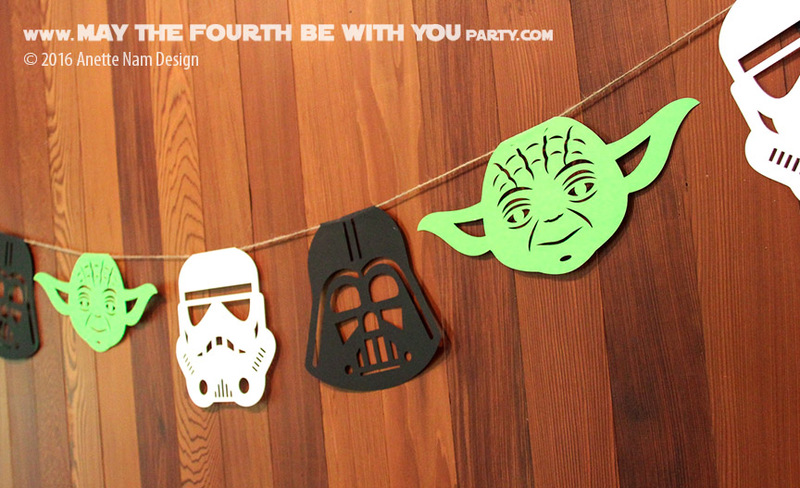 Thus we are going to start a new feature here at on our blog: M4P Mom. 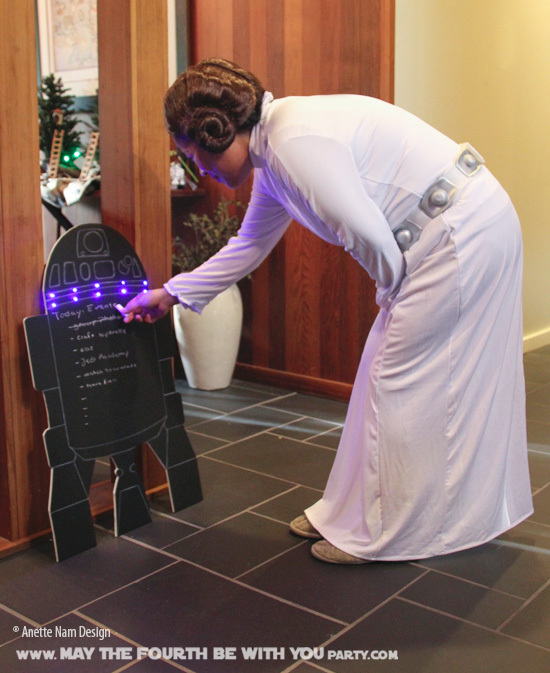 She already has a whole list of suggestions for cool Star Wars Day decor and party ideas. As we create them, I will take photos and write the how-tos here. THANKS mom for always being my biggest fan and champion. Are you a Rebel or a Buckethead? Jedi or a Sith? Do you want to show your true colors, or hedge your bets and show all? 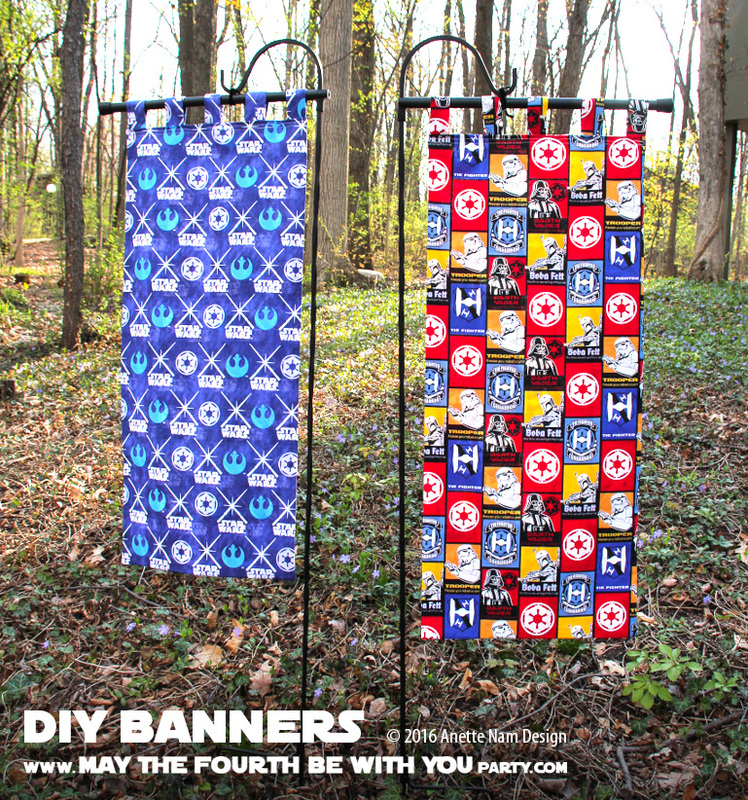 Jedi Master Heidi made these 7 fantastic banners few of years back, and they are incredibly simple and cheap to make. Our display might not quite rival Napoleon’s flag display at Les Invalides, but I promise it still looked very impressive! 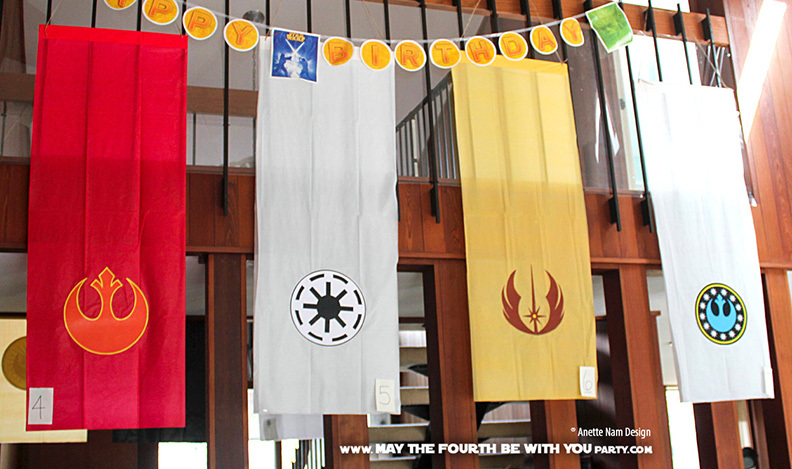 The first year we used them we had a contest: the person who identified the most insignias correctly won a prize (vintage Star Wars books). It was surprising how hard it was for even the most ardent fans to get more than half correct.